In 1951, after many years of research, journalist and family historian V.V. 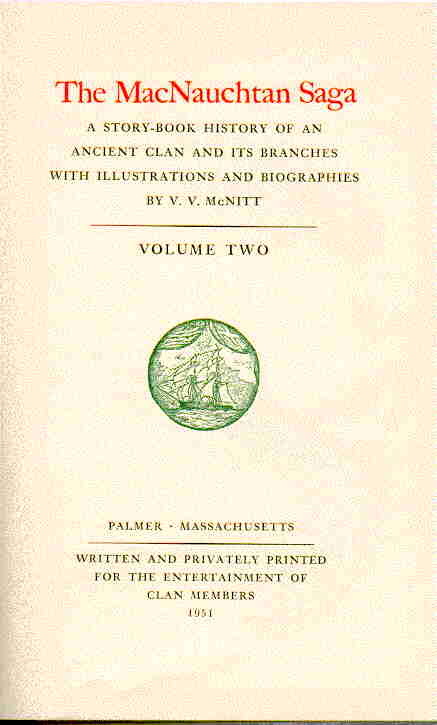 McNitt published The MacNauchtan Saga, a two-volume history of the Clan MacNaughton. Mr. McNitt bore the cost of printing the 300 sets of the book, which he placed in libraries or sold to family members. Within a few years all of the sets were distributed. Volume one focused on the early history of the clan in Scotland, the MacNaughts of Galloway, and the move of some clan members to northern Ireland in the 17th century. Volume two focused on history of various branches of the MacNaughts after they settled in America. These branches used various forms of the surname, including McKnitt, McNitt, McNett, McNutt, and McKnight. Although genealogists have discovered much new information on the family since 1951 (some of which disproves assumptions made by Mr. McNitt), the Saga remains a good starting point for clan historians. 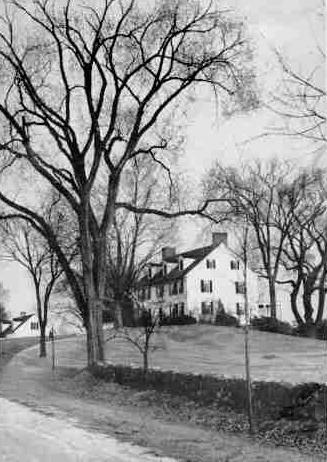 This web project reproduces those chapters and appendices relating to the family of Barnard McNitt (1700-1773) of Palmer, Massachusetts. A digital copy of the entire two volume set of the Saga is available online through the Hathi Trust Digital Library..